Efforts to lift the fortunes of table tennis among girls in Kenya received a major boost on Saturday 14th July, the Japanese company, San-Ei donated 50 tables; the gesture being part of the legacy programmes of the Tokyo 2020 Olympic Games and Paralympic Games. 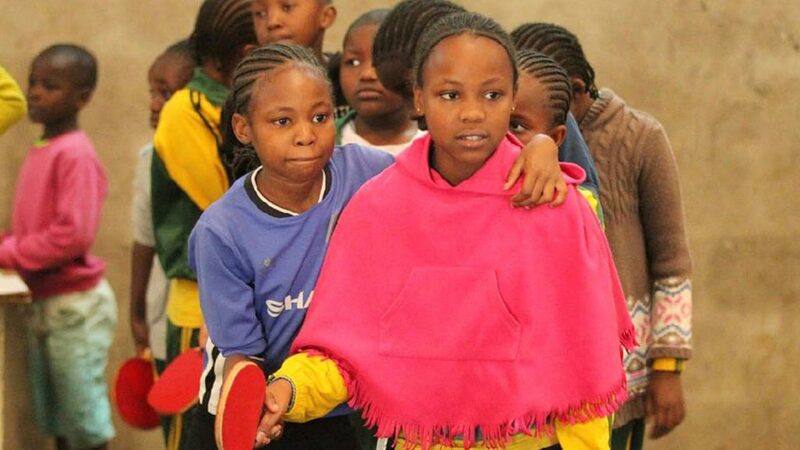 According to Charity Muturi, the Media Officer of Kenya Table Tennis Association, the donation is part of an initiative that seeks to encourage more girls play table tennis The initiative aims to have by the year 2020 at least 5,000 girls below the age of 12 years playing table tennis. It is anticipated that the Kenya Table Tennis Association will work alongside the Ministry of Youth and Social Affairs as well as Japan’s Tsukuba International Academy of Sports University to organise suitable programmes. “Let the Girls Shine” is the name of the project, at the launch of the initiative, staged at the Mathare Youth Sports Association in Nairobi, Andrew Mudibo, the President of the Kenya Table Tennis Association, thanked San-Ei for the donation; the tables being distributed throughout the country. Additionally, he extended his appreciation to Be Forward, the Tsukuba International Academy of Sports University, Sport for Tomorrow and the Kenya Government, through the Ministry of Sports, for their support. A total of 16 tables will be distributed to schools in underprivileged areas in Nairobi, four will be at Mathere Youth Centre which will be the headquarters of the programme. The remaining 30 table will be distributed nationwide. Each region that receives equipment will be required to sign a contract with the national association. 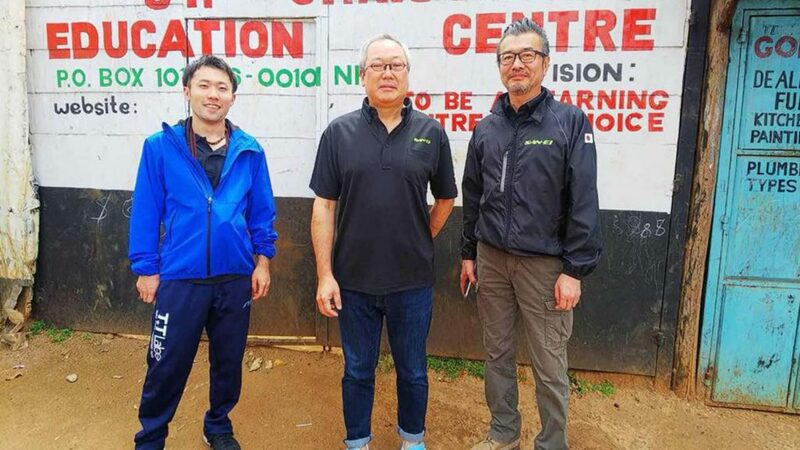 Also, as part of the long term partnership, Shin Miura, the President of the San Ei Corporation explained they are ready to send experts to the country to teach locals how to make the tables thereby creating employment opportunities. Notably, he further stated that they are willing to work closely with the Kenya Table Tennis Association to achieve milestones for the girls’ initiatives and the growth of table tennis in Kenya. The Japanese Embassy, represented by First Secretary, Seiji Teshiro who played against some of the girls, stressed that the country has a great deal of potential in the sport. “As the Embassy of Japan we would like to collaborate with the Kenyan Government to see the sport grow. One of the girls I played against was very good. I hope she will soon qualify for the Olympic Games soon.” Seiji Teshiro. Understandably, the equipment was well received; 10 year old Jane Campbell from Moi Air Base Primary School, one of the beneficiaries of the programme, could hardly hide her excitement after seeing the tables. A major boost for Kenya; the efforts of the San-Ei Corporation are greatly appreciated.